With the WhatsApp messenger getting so popular, many of you would be searching for Christian whatsapp statuses. Ofcourse your whatsapp status is the next thing which anyone will notice after your whatsapp dp or profile picture. To get christian images for your dp, go to Christian Whatsapp Images. Down below, we have given a long list of christian whatsapp status one-liners. We hope these whatsapp status about Jesus will greatly help you proclaim to the whole world that ‘I follow Christ’. Check out the biblical whatsapp statuses below. Feel free to add your own in the comments section. My God is my commander. God makes it, we mess it. Life is short, pray hard! You’re never too old for God. There is more. There is Jesus. Your pain touches God’s heart. You’re never too young for God. God wants to be your best friend. Jesus: to know him is to love him. Jesus: Because only the best will do. Get off of Facebook and into God’s book. Though He slay me, yet will I serve Him. Jesus: He’s holding your atoms together. Don’t keep the faith… spread it around! Thanksgiving waters your seeds of prayer. God is in small things, as well as great. No CHRIST No REST. Know CHRIST Know REST. Picasso used a canvas, but God uses a heart. Jesus was the blood donor that saved my life! When God saw you, It was love at first sight. You can fool yourself. You can never fool God. Down in the mouth? It’s time for a faith lift. Jesus died to save us and he lives to keep us. If you can’t sleep, try counting your blessings. For a Christ like walk, keep in step with Jesus. You’ve never cried alone. Jesus was always there. Life – your only chance. Eternity – payback time. When temptation knocks, let Jesus answer to door. Life’s most exciting adventure: intimacy with God. To ignore our Creator is the height of selfishness. The Called call on Jesus name and Jesus keeps them! If it doesn’t lead to Jesus, it doesn’t lead to God. If you kneel before God, You can stand before any man. God is good ALL THE TIME. All the time, GOD IS GOOD! God owns you, and every molecule you have ever touched. Understanding God would be easier if we had infinite IQ. Questioning God? He made the brain cells you think with. Life is like a puzzle and Jesus is that missing ‘Peace’. You’ll never get over that sin, until you get under Jesus! It will work out perfectly, if you let Jesus take control. Jesus: stripped, abused, assaulted, violated…for you. Leave something for God, But never leave God for something. Life: the ball’s in your court. After death: it’s God’s turn. I never claimed to be perfect, but God never said I had to be! God didn’t promise a calm passage. He promised a safe landing. The rewards of witnessing about Jesus are well worth the risks. God feeds the birds, but he doesn’t throw food into their nest. It takes a real Christian to love god even in the hardest times. When you pray, don’t give God instructions. Just report for duty! You don’t need to see the way if you follow Jesus who is the Way. The great mystery is not unanswered prayer; it’s unfinished prayer. Awesome: you don’t know the meaning of the word until you meet Jesus. Stop just counting the days and start to make each day count for Jesus. He died… He lived… He rose… He will be back… Let’s rejoice and be glad. Only one life, will soon be past. Only what’s done for Christ will last. All Christians are organ donors, because they gave their heart to Jesus! The will of God will not take you where the grace of God cannot keep you. Jesus: so far ahead of his time that we’re still no closer to catching up. To call Jesus Lord is to do what he wants, when he wants and where he wants! No one can change the destiny by self, it’s only God’s hand so trust on Him. Jesus paid our debt that we couldn’t pay, but it was a debt that he didn’t owe. Better to go through the storm with Jesus, than to have smooth sailing without him! Believe in a God who works miracles, and believe in his son Jesus to experience one. In Jesus, my past sins are forgiven, my present has purpose and my future is secure! Don’t ask the Lord to guide your footsteps, unless you are willing to move your feet. Sometimes you have to go through the valley to appreciate the beauty of the mountain. Jesus never said that following him would be easy, but he did say it would be worth it! Praying that the Lord Holds you in His Love And blesses you with His grace on this Holy Day. If you’re on the ‘Road to Hell’, when you come to ‘Jesus Way’ be sure to make the right turn! The Church of Jesus Christ is an organization that hasn’t changed its leadership for 2000 years! The Lord lights up our way into eternal bliss. Good Friday! May the Almighty God Bless You on Good Friday. God didn’t promise days without pain, sun without rain, but He did promise strength for the day and light for the way. Mother Mary Framed Pictures : about 20 Mother Mary frames are given right above. 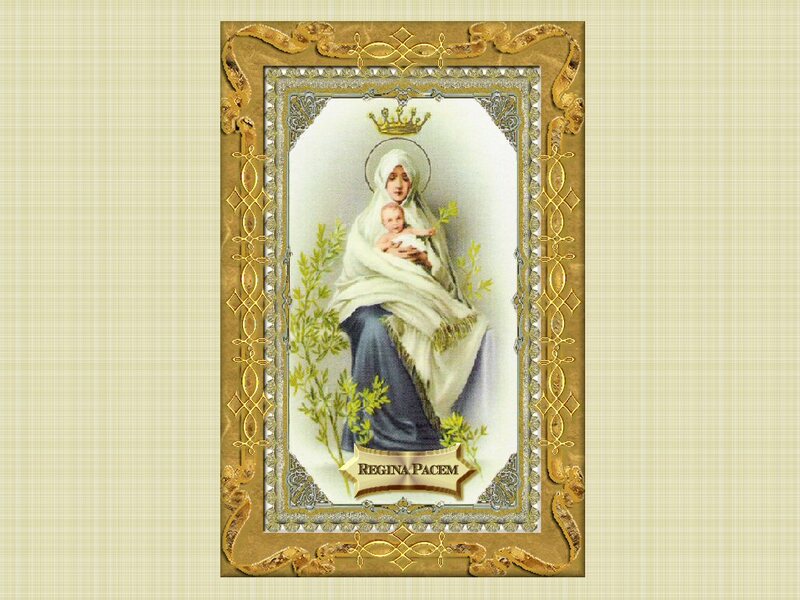 Take a look at each of the above thumbnail images to see the maximized image of Virgin Mary picture in a frame with 1024×768 dimensions, some with even Bible verses over the picture frame. You can then right-away go ahead and right-click on the full-sized image of Mother Mary and save the image to your computer to set it as your desktop wallpaper. All are ideal wallpapers as all the above have 1024×768 resolution. The 20 pictures portray different types of images of Virgin Mary like Behold Your Mother, Crucifixion and 4 Virgins, Ever Helping Mother Mary Framed, Mediatrix, Mother and Child 01, Mother and Child 02, Mother and Child 03, Mother and Child 04, Mt Carmel, My Son, Our Lady of Guadalupe, Our Lady of Lourdes, Our Lady of Miraculous Medal, Our Lady of Mt Carmel, Our Lady of Sorrows, Our Lady of The Rosary, Queen of Heaven, Queen of Peace, Virgin Mary & Jesus – Old Icon Lithograph and Virgin Mary. Jesus Christ Framed Pictures : about 20 Jesus frames are given right above. Take a look at each of the above thumbnail images to see the maximized image of Jesus Christ picture in a frame with 1024×768 dimensions, some with even Bible verses over the picture frame. You can then right-away go ahead and right-click on the full-sized image and save the image to your computer to set it as your desktop wallpaper. All are ideal wallpapers as all the above have 1024×768 resolution. 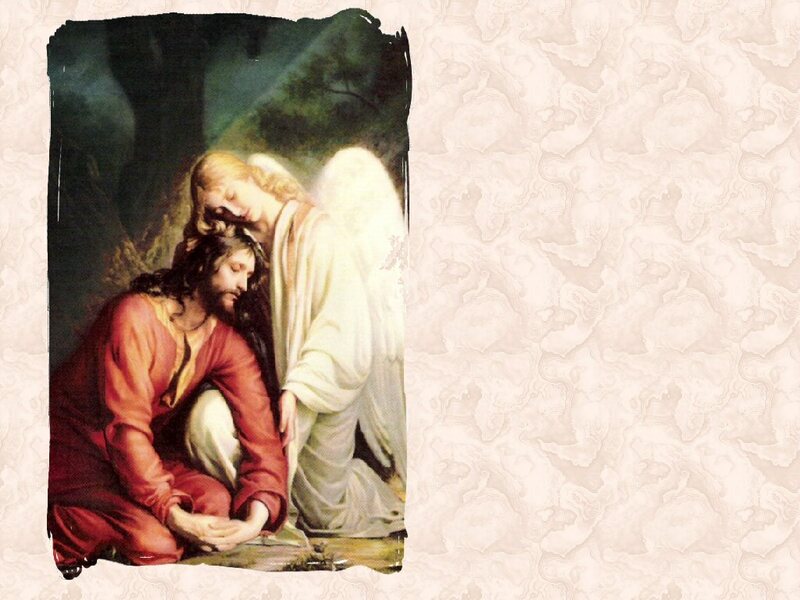 The 20 pictures portray different types of images like Agony in the Garden, Ascension, Christus Rex, Gethsemane, God Keeps Going, Holy Family, Holy Mass, Pieta, Resurrection, Sacred Heart, Take Up Your Cross, The Right Words, This Is My Blood, Thy Will Be Done, Trinity, Unite Your Sufferings With Mine and To Jesus Through Mary. We have plenty of other framed pictures, some with Mother Mary and other types. We will be soon adding those framed pictures also to TBTG. Keep checking the pictures category more often. God bless you all.